The Michigan attorney you choose to represent you can mean the difference between you getting a fair settlement or no settlement at all. Getting the maximum injury settlement you're entitled to is a job for an experienced personal injury lawyer with a winning record. 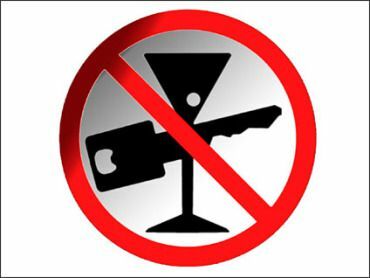 If you have suffered a personal injury as a result of an accident with a drunk driver in Michigan, we can help you. Many of our clients often ask us what their case is worth, or what it should settle for. This is a very difficult question to answer because the final settlement amount can depend on a wide variety of different things. Here is a list of some of the factors that contribute to the final settlement amount of a personal injury case. How the car accident, injury, or medical malpractice occurred? We have obtained significant settlements for victims of drunk driving accidents in Michigan. We have listed some of these settlements below. $1,000,000 settlement for a victims’ family killed in a Michigan drunk driving accident. $500,000 settlement for a Lansing area woman struck by a drunk driver. $650,000 drunk driving accident settlement for lawsuit filed by a husband and wife against a drunk driver that was driving an employer's vehicle at the time of the accident. The victims suffered significant injuries in the accident, including a knee injury, hand injury, and post-traumatic stress disorder. $280,000 Detroit car accident settlement for three clients who sustained serious injuries when their vehicle was struck by a drunk driver. $100,000 Michigan drunk driver crash settlement for a man who suffered severe orthopedic injuries in a car accident caused by a drunk driver. $100,000 pedestrian accident settlement against drunk driver for pedestrian injured after being struck by a drunk driver in Wayne County, Michigan. $80,000 Michigan drunk driving settlement for an man struck and injured by a drunk driver in Michigan. He had suffered serious injuries including neck and back pain, as well as a herniated and bulging discs. Another, often overlooked factor in determining the settlement value is the attorney you choose to hire for your case. It can literally be the difference between obtaining a favorable settlement or receiving nothing at all. We have used our skill, experience, and reputation to obtain significant settlements and jury verdicts for our clients over the last 40 years. Some of them are listed below. To find out how much your case is worth, just give us a call at (800) 606-1717 and we'll ask you several questions and then give you an honest answer. There are strict time deadlines for filing Michigan personal injury claims so it is important you contact an attorney as soon as possible! We will not charge you anything unless we settle your case. There is nothing to lose, so call today!